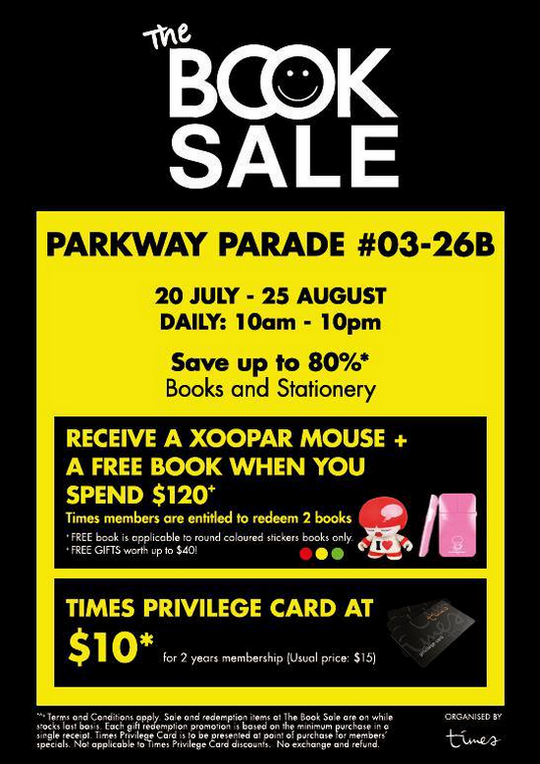 The Book Sale by Times bookstores is now happening till 25 August in Parkway Parade! Books are priced UP TO 80% OFF! Times Members will receive a FREE Xoopar Mouse and 2 Books of choice with a nett spend of $120. For non-members, membership are going at $10 for 2 years membership (usual price: $15).